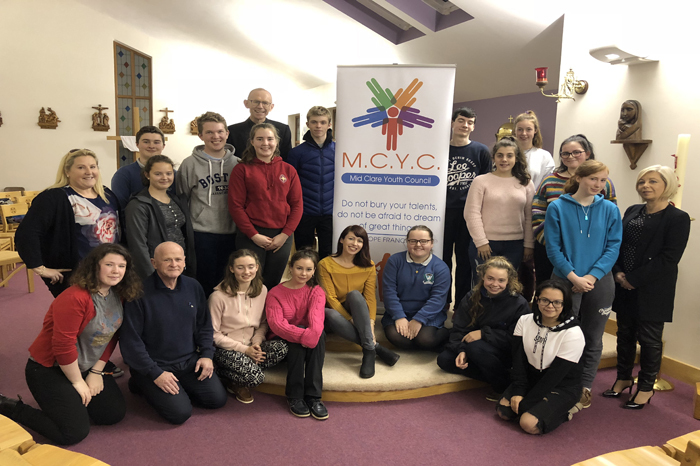 The diocese of Killaloe is delighted to announce the appointmemt of Ms. Joanne O’Brien as diocesan Youth Officer. Joanne lives in Quin, Co. Clare and she is married to Cathal Boyce and they have two children. Joanne has worked as a school Chaplain for thirteen years, the last ten years, she worked as Chaplain of St. John Bosco Community College, Kildysart. She is member of the Beyond Belief team on Clare FM. Joanne has produced and published three books, The People’s Prayer’s (2007), Dyslexic Brains Learn Differently (2013) and Where I Find God (2016) She has been an active member of her parish pastoral council and set up the Pray and Play group in St. Mary’s Church, Quin which has been existence for fifteen years and attracts over forty children every Sunday morning. The diocese looks forward to supporting Joanne in her role as Youth Officer. Killaloe diocese has a great tradition of Youth Ministry who organise regular events like Pilgrimages to Lourdes, Taizé, Knock, Ballintubber, The Burren, Holy Island, Scattery Island along with Youth 2000 events, John Paul II awards, various Youth Choirs, residential faith events in St. Flannan’s College along with many other occasions. It is hoped that Joanne will be a link person between many of the different groups along with many new and fresh ideas she brings to the role from her vast experience. Every good wish and blessing to Joanne in her new role.